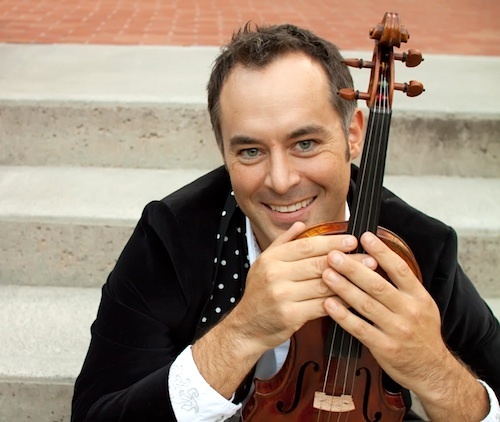 Hailed for his “glorious strength” and “elegance” (New York Concert Review), Russell Fallstad has blazed an impressive trail as a violinist and violist since beginning Suzuki lessons in the Minnesota public school system. Russell holds two classical performance degrees from Northwestern University. Shortly after college, he founded the Fry Street String Quartet, mentoring with classical legends Isaac Stern, The Juilliard Quartet, and The Emerson Quartet. He subsequently toured and recorded with the Fry Street Quartet for 12 years before taking a hiatus from the classical performance world to pursue popular genres and innovative teaching projects. Russell has taught young children at Northwestern University, The Western Springs School of Talent Education/Naperville Suzuki School, The Music Institute of Chicago; he has taught String Pedagogy at DePaul University; and he founded the Suzuki Pedagogy Program at Utah State University’s Caine School of the Arts, while a member of their string college-level performance faculty for 7 years. Mary Ashton Spearen was raised around a campfire of musicians and still receives music lessons from her family. She plays guitar, mandolin, and tambourine. Mary began teaching music when she was a nanny in Chicago and found that it was so vital to the education of young minds that she was determined to learn more about how to engage this age group. Mary studied music at the Old Town School of Folk Music in Chicago and at the ATLA School in Paris, France. After completing her education, Mary taught early childhood music in the Bronx and in Rochester, NY where she had her own Music Together program called Full Circle Music Together. 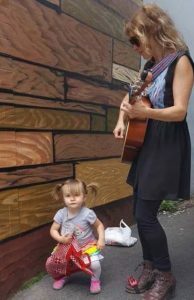 Since moving home to West Virginia, she has joined the HeartStrings Academy team. She hopes to see you in class. A bientot!